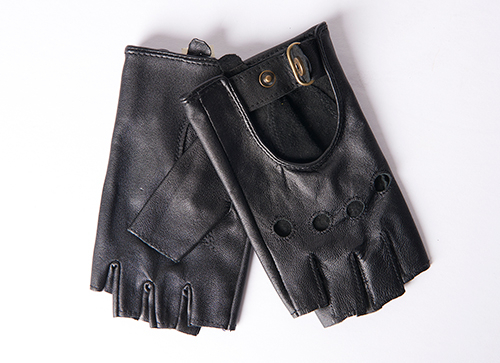 Fingerless driving gloves in black leather. Snap opening at wrist. Cut outs on back.